I don't recall ever making an Easter cake, but I do have an egg pan. Maybe I should this year. Get out that edible modeling medium and sculpt some big ole Bunny butts! They're fun! And I bet your would be Incredible! Haha! Good idea. Right now I am doing a painting on fondant for a collab and have another one due by the end of the month, so not a lot of time. I can't wait to see what you come up with. I know it will be beautiful. What happened? I wrote a whole other post, several lines long, and now it's Gone! 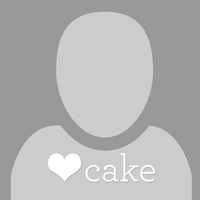 I was asking you, Sandra and Cakeladi….if you had a cake recipe you could recommend that would satisfy my sweet tooth/cake craving, without having to frost it? I'm lazy, but have been going crazy this last week. I want something 'bad for me', but that tastes like it's already been frosted. Is that even possible? Oh, and I need it to be easy, too. I know you ladies can Do this! You are so funny! Above is a recipe I love for an apple pound cake. It takes a little more than snapping your fingers, but it is not hard and is so delicious. It has a glaze poured over it, but it literally takes less than five minutes to make it. The only aggravating thing about making this cake is pealing the apples. The last time I made it, I left the peelings on and chopped the apples a bit smaller. Could not even tell they weren't pealed, so a big time saver. My cake picture is # 5 in the line of pictures. I saved the recipe. If I get around to making it, I' let you know how it turned out.